To promote further industry-academia-government exchange and international collaboration in telecommunication technology field, YRP hosts and supports various kinds of events: symposia, workshops, and seminars. Several kinds of forums or committees are also established to provide platforms for international collaboration. Wireless Technology Park (WTP) is an exclusive event focused on R&D of wireless technology and consists of three parts: the “Exhibition” where you can find the latest wireless technologies and researches, the “Seminar” that introduces recent technical trends in wireless communications, and the “Academia Session” where university laboratories present their R&D results. The aim of WTP is to introduce latest research result and trends in the field of wireless communications technology, to accelerate business development of wireless technologies and also to promote world leading R&D activities. International Symposium, Bilateral Workshop, Seminars, etc. WPMC was born in YRP in its early stage as a key event to create a new platform for international collaboration. It is held annually under the sponsorship of National Institute of Information and Communications Technology (NICT) and YRP R&D Promotion Committee and collects a hundreds of researchers from all over the world. The workshop is held annually since 2006 and sponsored by China FuTURE MOBILE COMMUNICATION FORUM, JAPAN-CHINA Information and Communications Technology Forum, and YRP R&D Promotion Committee, and technically sponsored by IEICE-CS/RCS. 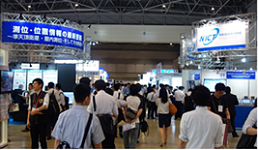 It aims at networking industry-academia-government in Japan and China through presentations and activities on latest research results. Japan-China Workshop in 2018 *Report is written in Japanese. Japan-China Workshop in 2017 *Report is written in Japanese. Japan-China Workshop in 2016 *Report is written in Japanese. Technical Seminar, Business Matching Event & Seminar, etc. Taking advantages of the opportunities of eminent researcher’s visit to Japan and visit of business delegations to YRP, YRP hosts technical seminars, business-matching event or seminars, etc. to provide companies and researchers with the opportunities of mutual exchange. 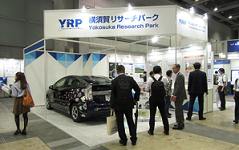 YRP R&D Promotion Committee has established various collaborative platforms to promote collaboration and mutual understanding in ICT field between Japan and China. YRP R&D Promotion committee became an affiliate member of the Asia-Pacific Telecommunity (APT) in January 2000. APT is an intergovernmental organization established in 1979 aiming at provision and expansion of regional telecommunication services in Asia-Pacific Region. In order to contribute to its activity, YRP hosts one of the APT’s ICT training courses annually since FY2000.